Data migration is a very critical element to the implementation process of the TurnQuest Insurance system. While TurnQuest comes with tremendous capabilities to utilize data in ways which the legacy system cannot, the challenge lies in transforming source data – often of poor quality and/or not suitable for use by the new system – into a format that can easily be processed by the new system. Turnkey Africa’s data migration solution is designed to reduce not only the complexity and cost of data migration but also the risk of migration failure. 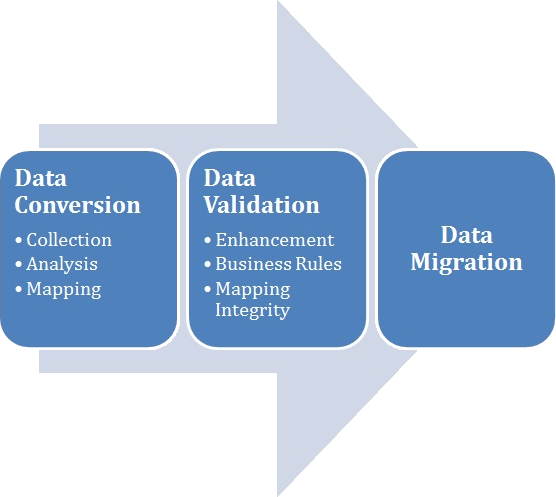 The Turnkey data migration team has the experience and expertise to help you migrate data that is determined to be necessary for the future business process; and manage the effort associated with any manual data clean up identified. The Turnkey data migration process involves extracting data from the source system (s) and loading it into the TurnQuest system. Of the extracted data, the data that requires manual clean up by the users will be identified with exception reports provided to support the data cleanup effort. Data that does not meet the data migration rules at implementation is not migrated and is instead listed on an exception report for the business area to manually address post implementation. The data migration requirements will be validated during the testing effort prior to User Acceptance Testing (UAT) which is completed using converted data. Turnkey data migration ensures that Go-Lives are on-time and on-budget, the compliance to internal and external standards and strict alignment with overall system integration and IT initiatives. Turnkey will provide the support that you need for data migration and management so that you can easily move your data between systems.